The professionals at Doors by Nalley, Inc. are available 24 hours a day, 7 days a week to take care of all your garage door needs in Denver, North Carolina and surrounding areas. Doors By Nalley, Inc. is a female family-owned business established in 1990 by Debra Nalley that is committed to top-quality garage door products, affordable prices, and excellent customer service. Debra Nalley and her team have been consistent in this goal throughout the years. 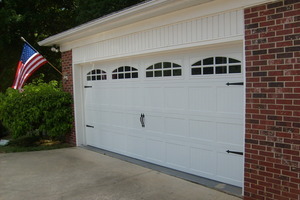 Doors by Nalley, Inc. provides sales, service, installation and repair of overhead garage doors and accessories. Whether you need commercial, residential or industrial garage door services or products, Doors by Nalley, Inc. can help. We offer routine garage door maintenance, emergency repair service, garage door “tune-ups”, and a preventative maintenance program, to ensure your garage door is always in tip-top shape. We take pride in our high-quality craftsmanship, and can make a custom wooden garage door exactly to your specifications. Each wooden door fromDoors by Nalley, Inc. is handmade from fine materials. Our skilled garage door experts will manage the job all the way from start to finish, including hand-sanding and professional installation. We use only high-quality brands—including C.H.I. 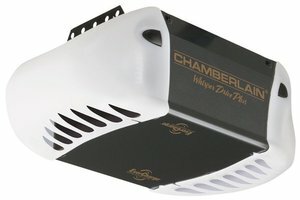 overhead doors, Chamberlain-Liftmaster garage door openers, and Amarr—because you deserve only the best. Thank you and Andy so much for your help with the selection and installation of our new garage door. You, Andy and the installation crew were courteous, helpful, efficient and professional ... we couldn't have asked for more! Thanks for a job well done! We won't hesitate recommending Doors by Nalley, Inc. to anyone for new garage doors and/or for servicing! I just wanted to thank you both for the awesome garage door! Our house was built in 1990 with a nice size garage but the previous owners just never put a door on it. We went for 17 years that way. When we decided to have a door installed we chose Doors by Nalley, Inc. as we like to keep business local. I never had the opportunity to meet Andy but my husband did. He liked Andy immediately and trusted what he had to tell us. We chose the contractor based on Andy's recommendations (brick work had to be done before the door was installed). The crew that was sent were very professional and passionate about what they do. The house just looks amazing. It looks complete now. Or as a good friend said "more stately". I can't thank you enough!! I wanted to say THANK YOU for being so willing to help me try and figure out my garage door problem over the phone. It was super nice to feel like someone was willing to help without pushing a service on me even though I did end up needing someone to come out after all. Jimmy was great and he represented your company super well. I would say that he is a KEEPER.